It’s been a while since I bought this opaque watercolor pan. I’ve been practicing a little bit but today I decided to continue learning new techniques. 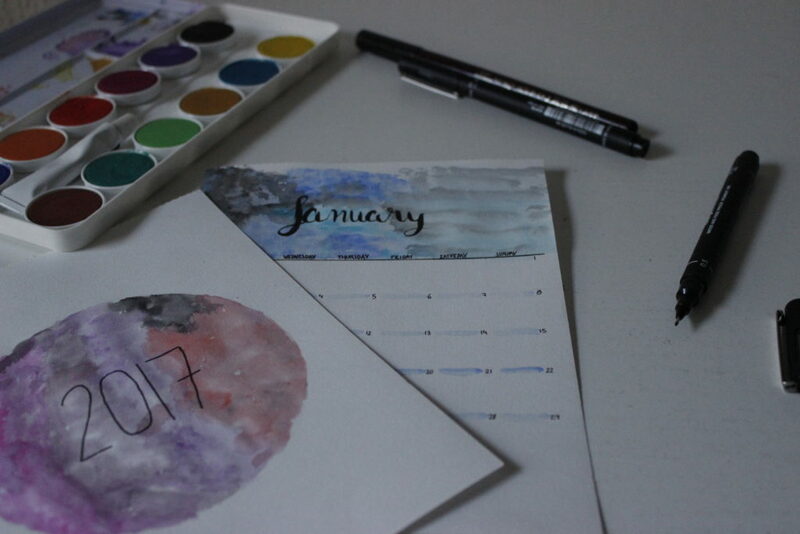 As a new year is coming, I thought that starting a new calendar is an excellent way to keep practicing. I would like to recommend this blog: https://thepostmansknock.com. Most content is related with calligraphy and lettering but she gives some tips for using watercolor and I try to follow her guidance. For practicing, I use the material that can be seen in the picture above: opaque watercolors, a Van Gogh sketch paper, a brush pen and a 0.1 & 0.5 uni pin pens.